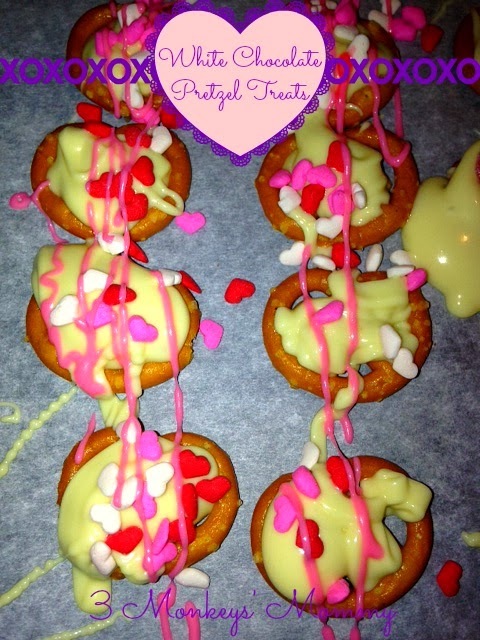 I love sending in treats so I made two different kinds to send for the parties... 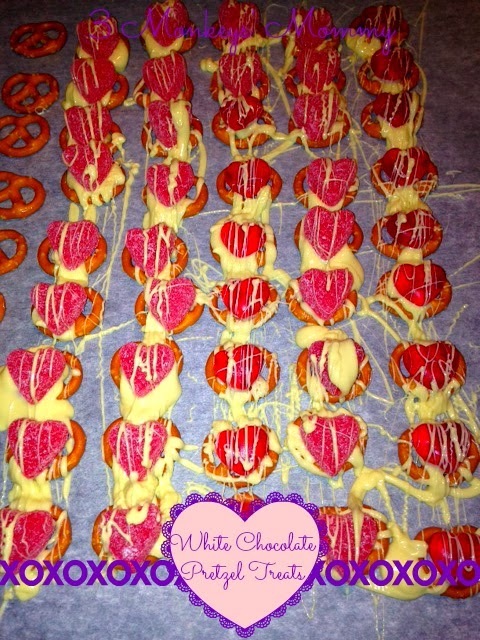 Here are the White Chocolate Pretzel Treats! Y'all ready for this? 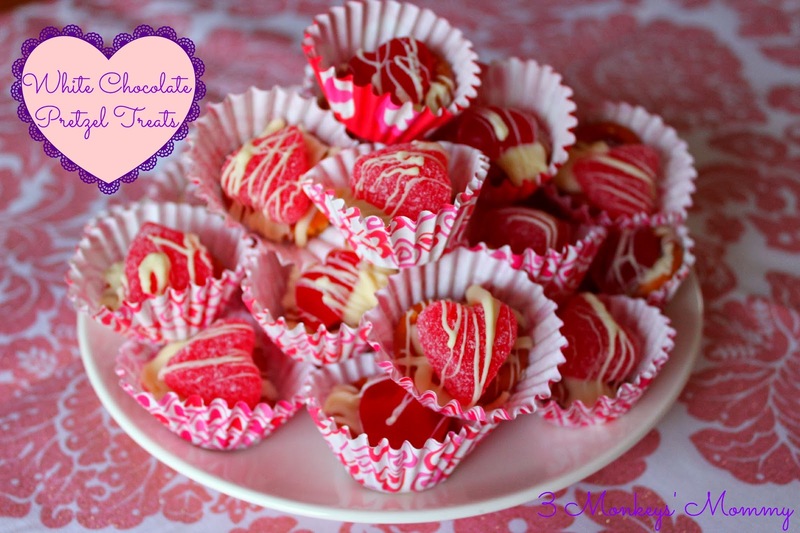 So easy to make and they look so wonderful!! 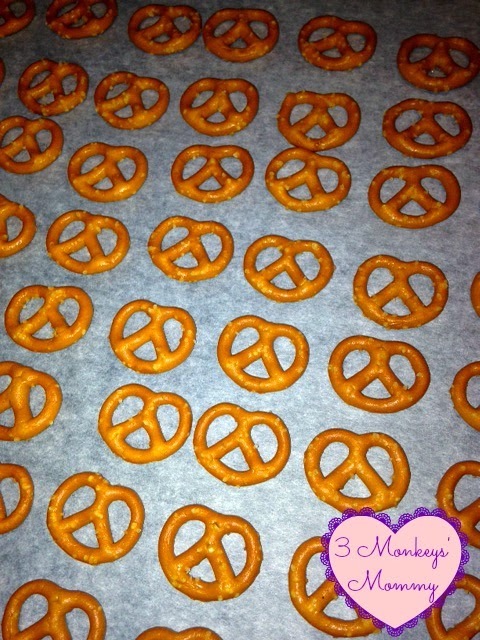 Spread the pretzels out evenly on parchment paper. 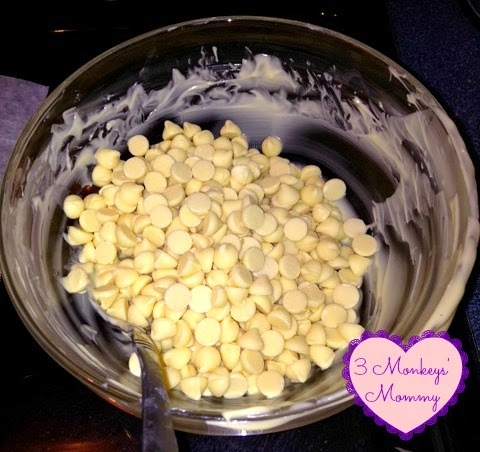 Melt the white chocolate chips. I used the microwave and heated for 30 seconds at a time, stirring in between. 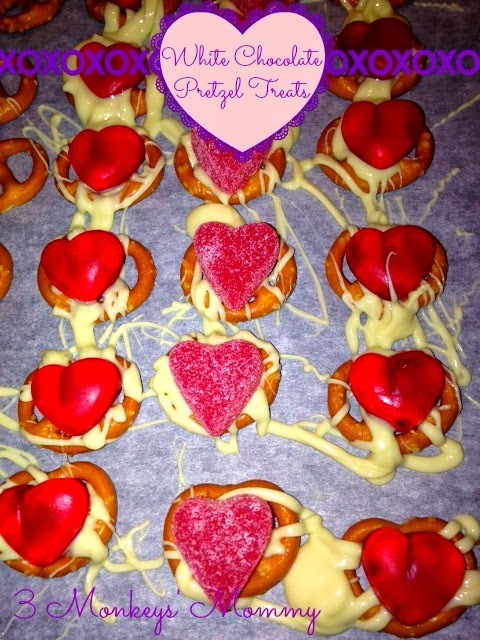 Drizzle the chocolate generously over the pretzels. 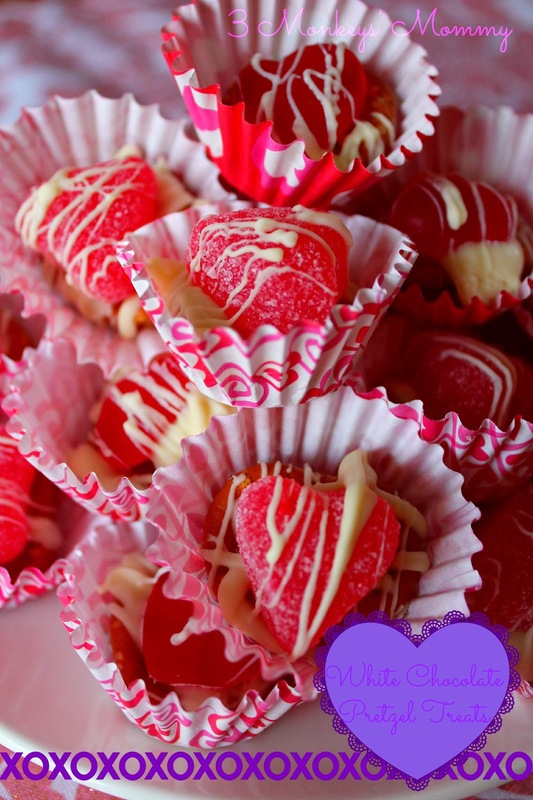 Place candies on top as desired. Drizzle more of the white chocolate over the candies. 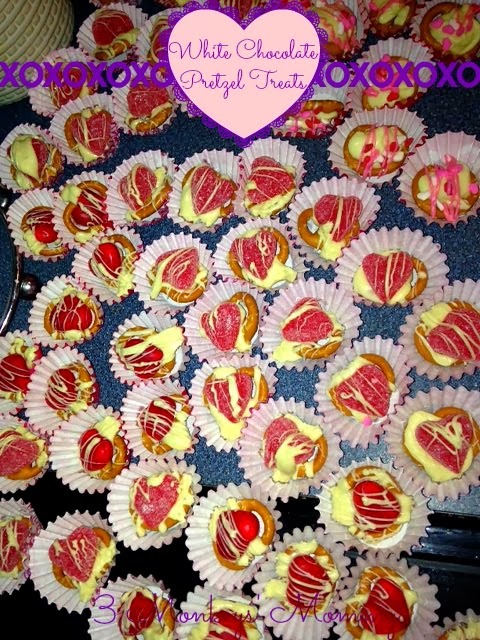 I also used some pink cake scribbler icing on some. Allow to dry. I let them sit for about 2 hours and was easily able to lift them from the parchment paper. Place in paper cups to serve.